Sonny With A Chance’s Brandon Mychal Smith Is Just The LATEST Disney Channel Vet To Get Hit With A DUI Charge! The House of Mouse must be so disappointed. 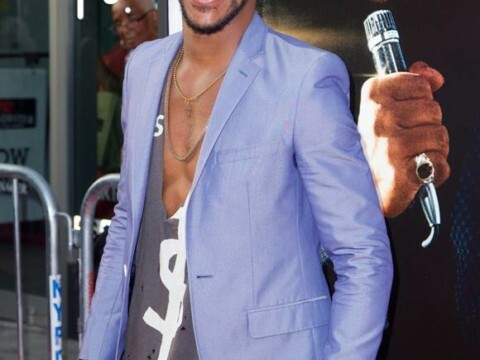 Over the weekend, it was revealed that Sonny With A Chance alum Brandon Mychal Smith was arrested for a DUI after he almost blew through a red light. According to reports, the You’re The Worst actor was cruising around Burbank, CA in his Rolls-Royce when he overshot a crosswalk at a light. Unfortunately for Brandon, there were cops stationed at the intersection and they decided to pull him over. It’s said the former child star blew almost TWICE the legal limit during a breathalyzer test. Nonetheless, the 28-year-old isn’t the first Disney Channel darling to disgrace the network. Previous articleThe Riverdale Cast Proves They Can Make Any Situation A SeXXXy One! Next articleBlake Lively Tells The Truth On Ryan Reynolds’ Hilarious Tweets About Their Daughter! Surprise! The Creator Of That Donald Trump/CNN Smackdown Video Is A Racist Reddit Troll!